As the political divide between the right and left widens in the United States, many companies are finding it necessary to take a stand for what they believe in. Adopting a clear political stance as an organization can inspire brand loyalty among consumers, vendors, and other stakeholders — but it can also trigger boycotts and other protests. For example, major brands such as Google, Salesforce, Amazon, and McKinsey have all ended business relationships with Immigration and Customs Enforcement (ICE) in response to the separation of undocumented immigrant families at the US border. These announcements have garnered both massive support and massive anger. 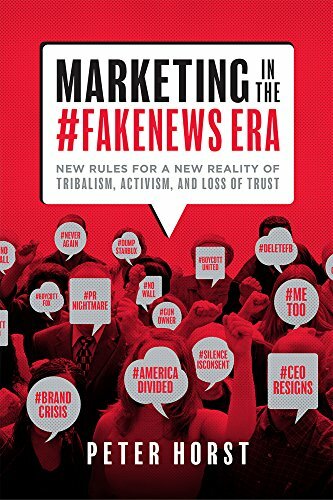 We spoke with Peter Horst, a Fortune 500 chief marketing officer and author of the new book Marketing in the #Fakenews Era: New Rules for a New Reality of Tribalism, Activism, and Loss of Trust about the risks and rewards of organizations publicly entering into the political fray. What follows is a transcript of that conversation, mildly edited for style and clarity. Recruiter.com: More and more, activist employees are forcing the companies they work for to take political stances. Why? Peter Horst: We’re definitely seeing a trend of employees driving companies to take strong public positions around social and political issues. Just recently, we’ve seen major airlines declare they wouldn’t fly children separated from immigrant parents at the border, in large part because employees did not want to play a part in that process. McKinsey has opted out of a lucrative contract with ICE because of values disconnects. Tech companies have seen employees rise up to declare they don’t want to sell AI technology to the military or provide search engines that facilitate a government’s censorship policies. A number of trends play a role in this phenomenon. The digital world creates a transparency and an immediacy that puts corporate choices and actions on display while giving the public the access and the social media tools to call out their approval or condemnation. We’re also seeing employees place an increasing premium on working at companies whose values match their ow. In fact, it’s become a bigger consideration for many than even compensation and benefits. Employees are aware, engaged, and eager to hold their companies accountable for living up to the values and the social responsibilities they want to see their employers take on. RC: What sort of brand risk occurs when a company takes a side on a key political issue? Is it safer for some companies than others? PH: There’s no question that the more deeply and definitively a brand defines a position, the greater the chances of resonating powerfully with some and at the same time alienating others. A common misconception is that companies have to choose between total silence and inaction versus jumping into a polarizing and highly political position. As a result, many companies do nothing — and this creates risks too. For a lot of people, silence is viewed as complicity or indifference. In my book, I talk about a risk-relevance curve, a spectrum of choices that companies have based on their values, their business models, and their constituents — their tribes. The further you move along this curve, the more relevant you are to some and the more likely you are to alienate others. If a brand serves a large and broad market covering a wide range of segments and cultural values, it becomes more risky to take on sharply polarizing and political views. But again, that’s not the only choice. Brands can define and articulate their values and beliefs, even if they never publicly display them and use them only as a moral compass. Or they can adopt an important but less controversial purpose, as Dove did with its “real beauty” campaign or Always did with confidence in young girls. Smaller brands with a more homogeneous target segment have more license to take on a more sharply defined point of view with less risk of alienating important customer sets. RC: How can companies gauge the impact their political stances are having on their brands and their businesses? PH: The first step is to choose those social or political stances wisely. It begins by looking at what is true and meaningful about the brand itself to ensure a genuine and authentic connection to the issue. Without that, the brand looks like a bandwagon jumper cynically trying to profit from an issue. There’s also the consideration of where the brand has permission to engage. Where will its voice be welcome and credible? Some issues are meaningful to the world, but without an authentic brand link and without a credible voice, you can experience terrible backlash, as we saw with Pepsi’s ad featuring Kendall Jenner quieting what looked like a Black Lives Matter protest with a can of soda. Having aligned on the corporate values, beliefs, and stances on the right issues, the company can conduct research among its key constituencies to evaluate what the likely reaction will be. What is the effect on brand favorability and intent to purchase among people who agree and don’t agree? And very importantly, what is the effect on the employer brand? Are employees more energized and engaged? Do potential recruits show greater interest in considering the company? All of this can be quantified, but it’s important to think of this as refining the focus and expression of those beliefs and stances. 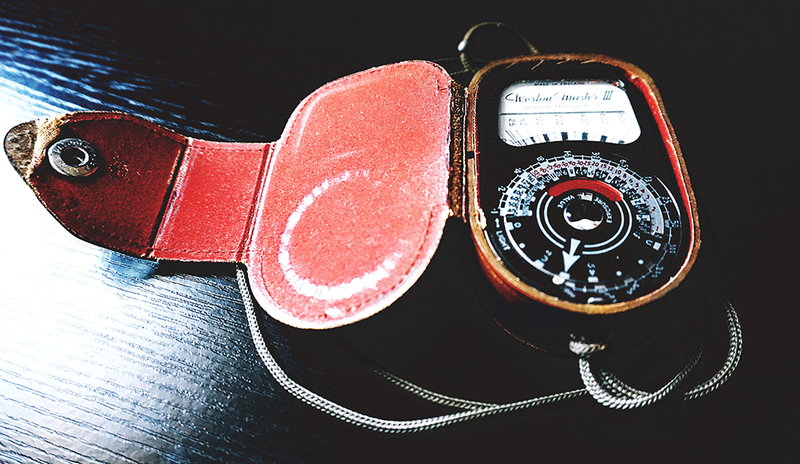 Market research shouldn’t be the first thing done when defining core values. That should start with an introspective look into the soul of the company. RC: Is it better to take a side in advance of a public outcry, or should a company wait to see which way the public goes? PH: It’s critical to begin with an authentic look at the values and beliefs of the company. That provides the North Star, the moral compass that can guide the thousands of choices employees have to make when the company script doesn’t provide the specific answers. Grounding in core values also prepares the company for that moment when it does suddenly find itself in the spotlight, perhaps defending itself in the court of public opinion. Even if a company decides it doesn’t want to proactively discuss values and engaging in social/political issues, it may be forced to by events beyond its control. Look at the NFL, which was caught flat-footed when the kneeling protests began. It had no coherent response or point of view, allowing the president to control the narrative and call the organization weak and rudderless. It’s a strategic brand decision whether to proactively engage, but one benefit of doing so is that you put your values on display and build up protective good will in the event of a bad day. For example, Starbucks has been grappling with the fallout from the event in Philadelphia when the police were called on two African-American customers. But I think the company will recover more quickly than many brands because of its long and well-established beliefs and actions around improving race relations, along with many other critical social issues.